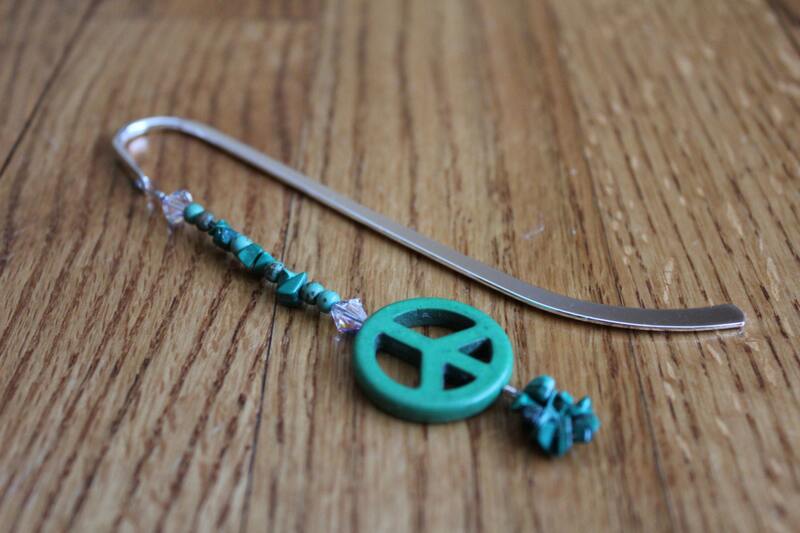 This pretty, green, peace sign bookmark would look great hanging from your favorite book! "I'd rather be reading" and relaxing, is the message it sends! 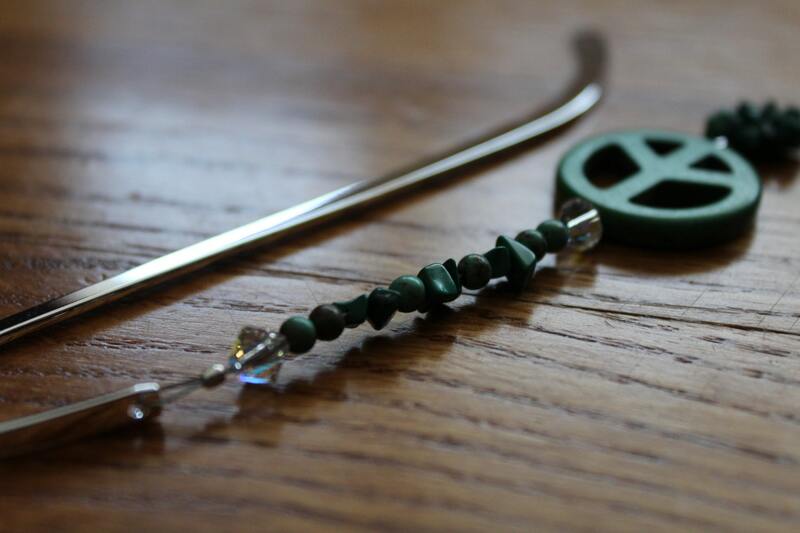 Or...give it as a gift to that special person who collects peace related items. This bookmark is practical, useful, and makes a great statement on a bookshelf! 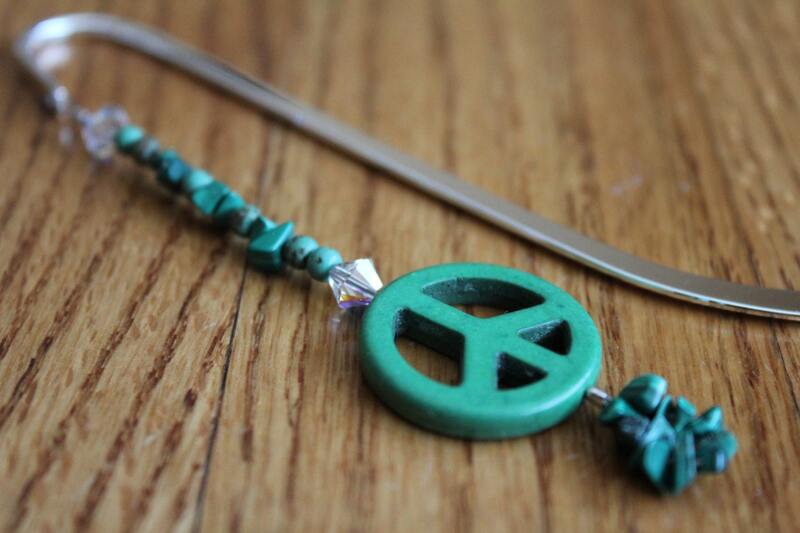 The peace sign bead alone, is 1 inch in diameter. 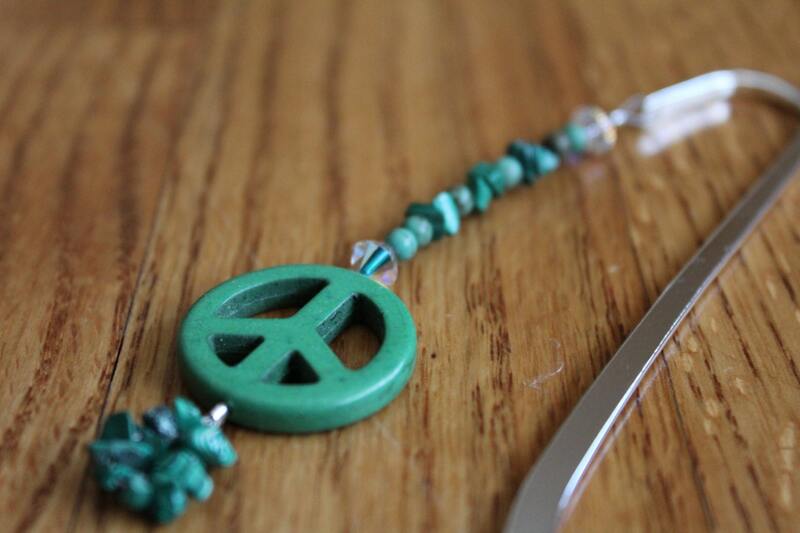 This bookmark is an original, designed and created by Michele of MichelesAManoDesigns.